The style options for contemporary sheers, curtains, and blinds have never been more exciting. Mary Fox Linton explains how to use interesting fabrics and unusual accessories to update window looks and suggests fresh new ideas for fashionable trends like layering sheers and curtains with blinds and using shutters and screens. The style options for contemporary sheers, curtains, and blinds have never been more exciting. 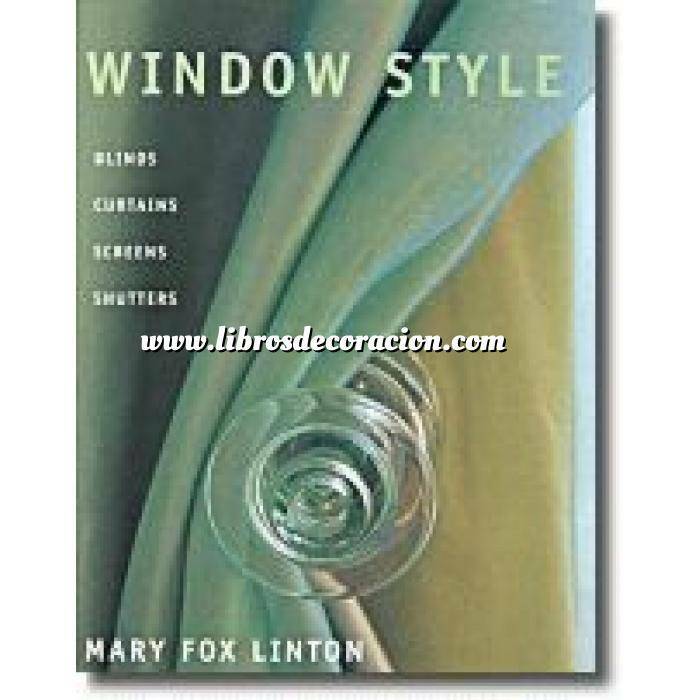 Mary Fox Linton explains how to use interesting fabrics and unusual accessories to update window looks and suggests fresh new ideas for fashionable trends like layering sheers and curtains with blinds and using shutters and screens. Perfect for anyone who is tired of swags and tails and prefers a clean and modern look, Window Style provides beautiful inspiration for creating up to date window treatments for every room in the home.